This sweet and sour chicken recipe is the best! It's simple, delicious, and works in any fit kitchen. Even better: this recipe makes enough food to feed about four people. Now you can wow your friends or parents when they come for dinner. Cut chicken into bite-sized pieces and place in a large bowl. Season the chicken with the garlic salt and pepper, turning to coat. Cook the chicken over medium/high heat until done (no pink centers). Meanwhile, whisk together chicken broth, vinegar, sweetener, soy sauce, and ketchup in a medium sauce pan. Bring sauce to a boil and then turn to low heat. Add the arrowroot a little at a time, whisking briskly. Let the sauce set up by continuing to stir for about two minutes. 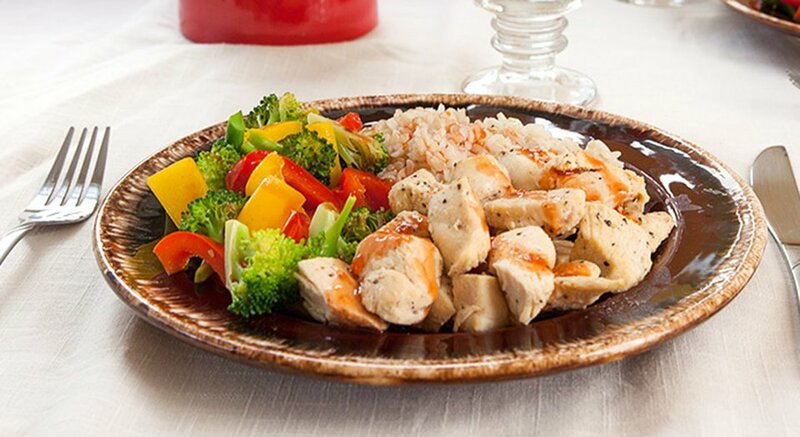 Pour sauce over cooked chicken and serve with brown rice and vegetables.